thanks for having me on the E stage twice! Thank you guys. You make me incredibly happy. As the #U2ieTour moves to London, we continue our weekly focus on the fab U2 fan sites that help to make up the wider U2 Community : this week the Zoo spoke to Remy, founder of U2Start. "U2start was founded in The Netherlands, 9 years ago at age 19 (Ni-ni-ni 19! ), about two years after I became a U2 fan. It started out as a personal website where I linked to various U2 material from other fansites, it became something like a startpage for U2 fans (now you know the origin of the name!). I pulled in and linked to news & setlists from other fansites (and still do!) and put U2 materials on there which I personally had an interest in such as U2 audio and video. After a while I also added a user section, which is when other fans started to come in and the site really started to grow. One of my other hobbies was & is programming and I always have used U2start as a playground for new technologies and to develop new features. U2start has now become bigger than lots of the commercial ventures I was involved in. A hobby out of control?" Changes over the years "Nine years later U2start has grown into much more than a website. We are a community of over 60,000 fans. Our main aim is to make U2 content available to as many U2 fans is possible, which is also why U2start is available in 10 different languages. Me & Chris (who also joined our crew as a developer) spend lots of our free time developing new features or improving stuff. The most important aspects of our community are our show catalogue, our photo section with 25GB worth of high resolution U2 photos, our very own originals and our community itself ranging from our forums to our social media presence". Remy on 8 Sept 2015 in Amsterdam, Remy & Chris a day later in Amsterdam and Marta in 2010 in Coimbra So what about the #U2ieTour? Tell us a little about what you are doing this time around, and who else is involved with the site. "We love hearing or reading about stories from other fans, which is why we engage a lot with fans online. We have interviewed 97 fans for our fan of the month section and have interviewed a dozen or so for our special #U2ieTour fan interviews. Since the shows in Amsterdam we started doing real interviews with fans immediately after the show using Periscope. We love doing it! It lets us capture the reactions and emotions of the fans and shares these with live viewers who can join with real time questions. 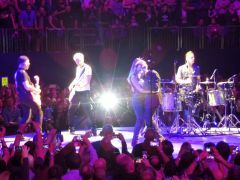 Our last chat in Cologne even turned into a mini U2 show with a fan on guitar who had just played with the band! Keep an eye for us outside the venues". "The Innocence & Experience tour has shown how U2 have a real desire to connect with their audience and we try to mirror this with our own site. Our forums are still the center of our show coverage. We have nightly setlist parties for each show where fans gather to follow the hows in real time. We have live audio, video and real time setlist updates to bring us closer to the band. All without refreshing the screen. We are adding new features to our site almost weekly and regularly update on Twitter, Facebook, Instagram, Periscope and Snapchat for some (personal) stories in each city. Keep an eye on us in London as we will also try some new things there". fans & crew wearing U2start tour shirts at the U2start meet-up in Amsterdam on 11 September 2015, from left to right: Yasmine, Remy, Joyce, Sergio & Chris "Finally, you may have noticed I switch from “I” to “we” in my story: U2start is more than just one fan. The community is very privileged with a very talented crew with presence in North & South America, all across Europe and Australia. Our crew is relatively new-U2-generation, most of our crew was not even born yet when U2 released The Unforgettable Fire. Let me therefore close with listing our crew members, my great U2 friends Chris (Netherlands), Marta (Portugal), Nataly (Brazil), Matt (Illinois), Gerard (Ireland), Sergio (Spain), Tim (England), Drew (Australia), Nicole (Massachusetts), César (Mexico) & Davide (Italy). Special mention to all our past crew members, our translation team and our members and fans over the years! Thank you. I hand it off to some of the crew members so they can tell something about themselves" : Chris: "I joined after the Vertigo tour. And fell in love with the band since. At U2start I worked my way into the crew as web developer. The live chat forum feature is the feature I'm the most proud of!" César: "U2 fan all my life, but I only got into web forums 2 years ago. The U2start community immediately welcomed me and I'm proud to be part of it with fans all over the world. At U2start I contribute with original content, translation, tour coverage and social media" Gerard: "I am the Irish contingent of the crew (essential on a U2 site right?) 8 years ago I was looking for live U2 and google suggested U2start. What I found was a gold mine of audio material but a diamond of a community that has grown massively over the years with each tour. It is such an easy way to spend your time and this is before crew duties come in to play! 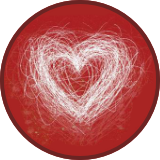 My role is to help out with general housekeeping and to make sure all of the forums are ticking over nicely. Bring on the future." 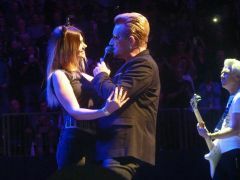 Nicole: "A simple Google search for "U2 fan sites" brought me to U2start in the summer of 2007. I was looking for a place not just to read about the band or follow the tours, but to actually talk with other fans and share our passion. The bootlegs drew me in, but the forums are what made me stay. As I became more involved on the site, I wanted to give something back. During the 360 Tour, I asked Remy if he needed help with anything on the site, and he generously invited me to join the crew. 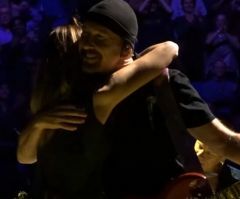 I'm proud to be a part of this community and to share my U2 passion with so many other fans." Sergio: "My parents are U2 fans since the mid eighties and I was born a year before Achtung Baby came out so I was bound to become a huge fan too. I did, but two essential landmarks took it to a higher level: attending my first show (Vertigo Tour in Madrid, on the day before my 15th birthday) and discovering U2start in November '06. 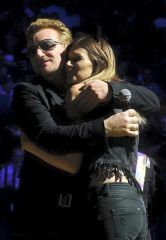 I soon became a crew member and then U2start became an essential part of my life! Davide: "I was already a U2 fan for 10 years, but in December 2006 I was looking for a "different" fan site. Lucky, U2start was online a few weeks and after another 10 years i'm still here. At U2start I work with translation activity, give help with originals and I really enjoy our football & U2 setlist prediction games!" 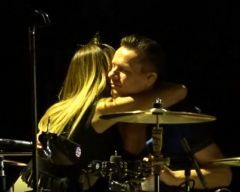 Marta: "U2 runs in the family, from my father to my brother and then to me! As a U2 fan and a photography lover, I was looking for U2 photos when I stumbled on U2start around 6 years ago. That's my passion: looking for, organising and sharing amazing photos with others and there's no better place than U2start for that!" Tim: "I stumbled upon U2start in 2007 while looking for information about past U2 tours. The community warmly welcomed me and was very knowledgable. It's safe to say that I found what I was looking for. In 2012 Remy invited me to join the crew and I've been more than happy to give back to the U2 community in that time. I will attend all six shows in London this week and I'm looking forward to meeting many U2 fans." Hi there - I have one spare GA ticket for the opening night in London - this coming Sunday October 25th. It's a e-ticket so we'd have to meet up at the venue and enter at the same time. We are planning to enter the arena around 6pm - let me know!